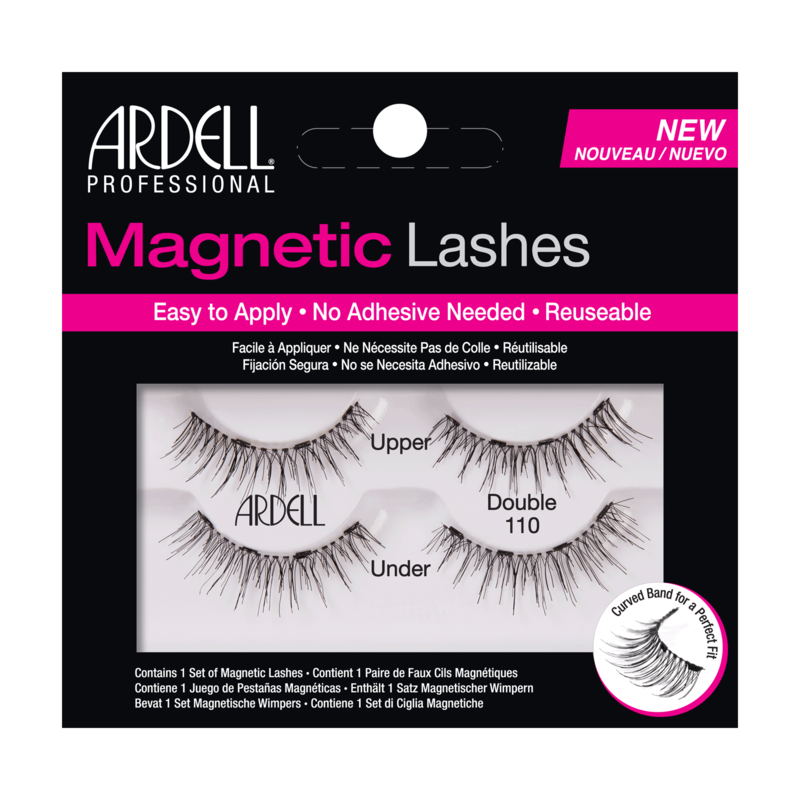 Ardell Magnetic Lash #110 with revolutionary multi-magnet technology! The revolutionary multi-magnet technology employs 6 to 8 smaller, virtually invisible magnets, strategically embedded end to end for complete magnetic contact so lashes lay down seamlessly along the natural lash line and don't flare out. Smaller magnets + more of them = more secure hold, less noticeable appearance + zero flare out. Compared to the competition's version with only 2 magnets. 1. Gently remove Upper Magnetic Lash from tray and lay on top of your natural lash line. 2. Gently remove Under Magnetic Lash from tray and place beneath your natural lash line to connect the two Magnetic lashes together. Using your index finger & thumb carefully slide top and bottom magnets away from each other, one by one. "I'm in LOVE! Remember to put mascara on first. Place the top lash down, then align the bottom lash from the inner corner magnet first then outer corner. Guess what? No more glue." "I'm crazy about false lashes. So I was so excited to try these magnetic lashes. I discovered that I absolutely love them." I had to practice but Voila! "They looked fabulous on me I just had to be patient to get them just right. Adds the right touch of glam." "I had to figure out how to secure them but after that, I was quite pleased. I will buy again. I believe they are worth it." "Great Looking Lash. The Look Expensive. I have to practice a little to apply them faster."